St. Cloud sure knows how to throw a hockey party. 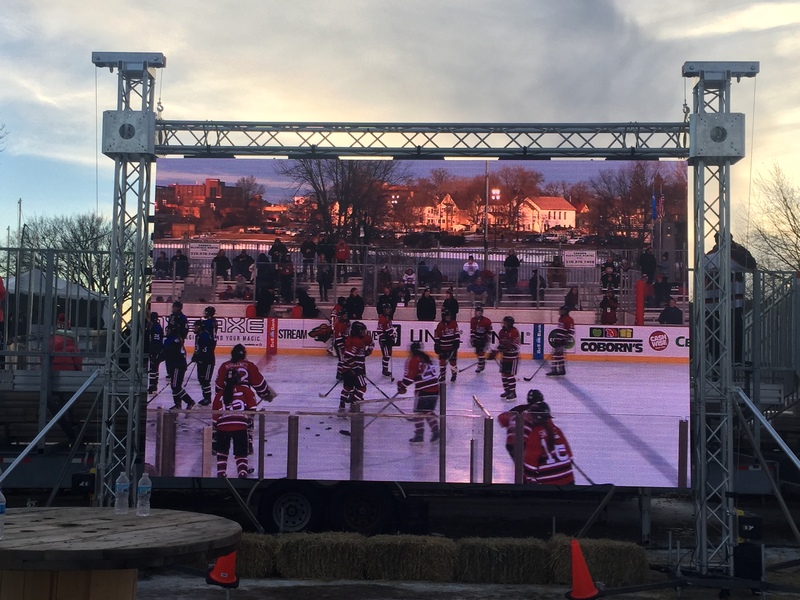 They proved it during the recent 2018 Hockey Day Minnesota event at Lake George. This was our fourth year being involved, and this was the biggest and best HDM event so far. We were busy with three giant LED screens, audio throughout the grounds, and several more 70 inch TVs in the VIP tent. 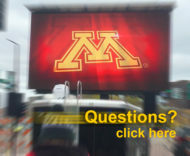 Fire Up Video provides mobile LED video boards for event rental all over the Midwest, including states such as Minnesota, Wisconsin, Illinois, Michigan, Ohio, Indiana, Kentucky, Tennessee, Iowa, Missouri, North Dakota, South Dakota, Nebraska, Colorado, Kansas, and more. 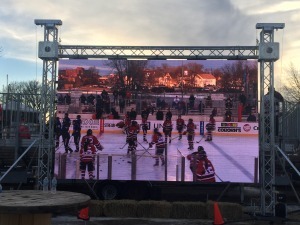 For more information or to rent a big screen TV for your outdoor event, please contact us at 844-533-8848 or baum3@earthlink.net.